Most of you will have heard of crowdfunding at some point. Although more often considered as a way to raise money for charity, medical bills or for disaster relief funds, equity crowdfunding for business is becoming increasingly popular. And not only that: Crowdfunding is also a major player in the property world. But what are the pros and cons of getting involved in property investment crowdfunding? Property crowdfunding is a way of investors pooling their money to fund a property project. That could be a build, or a purchase for use as a buy-to-let investment. Each investor generally contributes a small percentage of the overall funding required. Crowdfunding for property has grown massively since around 2012 and in the past couple of years it has gathered even more pace, with various options available for investors at most levels. As with any investment, there are pros and cons, which we will explore in more detail later in this piece. With that in mind, property crowdfunding receives mixed reviews in the UK. While most property crowdfunders love the idea of being able to diversify their investments across a range of properties, the old adage 'Your investment can go down as well as up' has rung true for others. How does property investment crowdfunding work? Through a property investment crowdfunding platform, investors select a property they think would be a good investment. They then have the opportunity to invest in the company wishing to purchase the property as a shareholder. Once funding is secured and the purchase complete, each shareholder benefits from rental return and capital growth of the property. What kind of properties can people invest in? Property crowdfunding is certainly a flexible way to invest. Standard buy-to-let properties, such as flats and houses, are available to invest in, alongside large developments of apartments. In terms of timescales, investments can be made in five-year projects or in shorter-term six-to-12-month quick wins. What is crowdfunding property development? While property investment crowdfunding generally allows investors to push money into properties that already exist, crowdfunding for property development sees the platforms we mentioned earlier purchase land to build on. Investors then have the opportunity to push their money into that build, or a build phase should a host of properties be constructed. One of the first questions people ask when it comes to property crowdfunding is: Is it risky? Well, all investments carry an element of risk and reward. One thing property crowdfunding does have is regulation and a strict code of conduct outlined by the Financial Conduct Authority (FCA). Property investment crowdfunding companies also have to undertake strict due diligence on properties they wish to purchase. Although property crowdfunding can be a great investment, unlike buying 100% of a buy-to-let property investors don't have a great deal of control over key decisions. That could include decisions on tenants, setting the rent, property management and costs. Many crowdfunding companies can also borrow against the property you own a stake in should they need to balance revenues. That could mean the value of your stake drops. 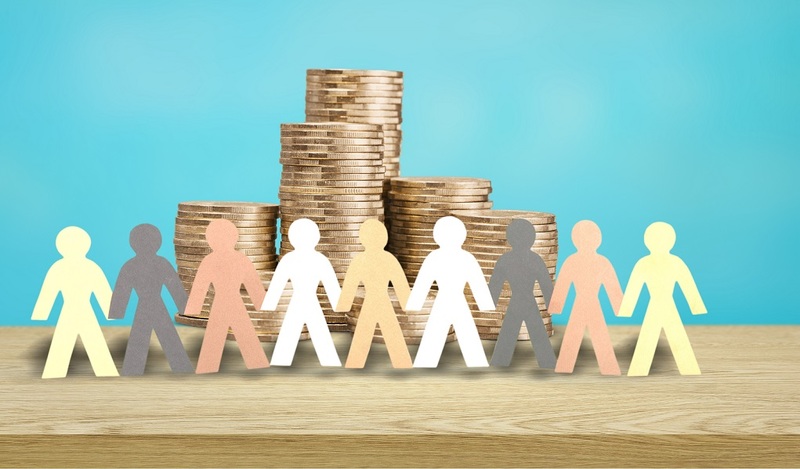 Investors can push money into a variety of different projects using property crowdfunding, meaning a broad portfolio that could be better placed to withstand changes in the property sector. If you need to sell a house you have a 100% investment in quickly, there are various ways you can do so - mainly by lowering the price. With a crowdfunded house, bailing out early is harder due to being under the control of the company that owns the property. For many investors, a vote once every five years is as much of a say as they get on the future of the property they've invested in. Buying a property in full involves huge costs and borrowing for many. Crowdfunding means buyers can invest smaller amounts in various projects without costs like stamp duty, renovations and financing. Whereas buying a property all-in can also take time, crowdfunding investments can be made in literally just a few minutes online. If you are thinking about investing in property, speak to your local CJ Hole branch today.